I don’t do the shopping thing after Thanksgiving, but I do love a parade and today in Seattle, WA was the Macy’s Holiday Parade. 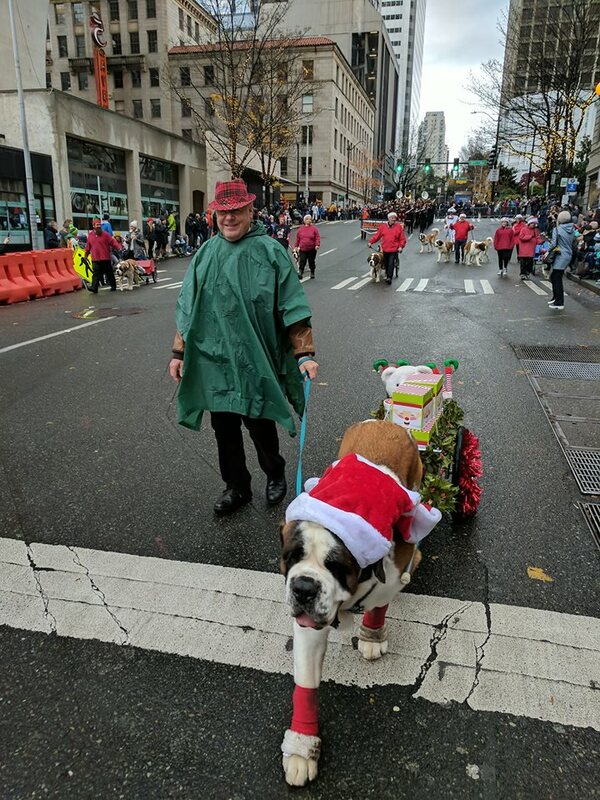 This year my cousin and his Saint Bernard ( aka, my Cousin’s son ) Xavier got to march in the parade with their Saint Bernard Club- before you ask the dogs weren’t carrying brandy. Just as a side note, my cousin has been raising and training Saints since 1969 and I’ve more or less considered his Saints as his kids. It was a great way to learn about dogs- but it also skewered my sense of what big dogs are because anything smaller then a Saint is ” medium ” sized to me.